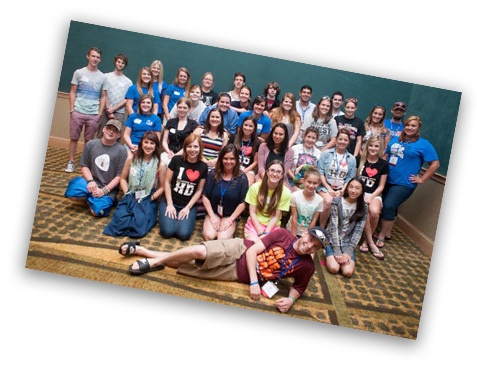 HDSA’s National Youth Alliance (NYA) motivates youth to get involved in their local Huntington’s Disease Society of America Chapter. Every child of a parent with HD has a 50/50 chance of inheriting the expanded gene that causes the disease. If the child has not inherited this expanded gene, he or she will never develop the disease and cannot pass it on to their children. The Miller Family whose 3 children are involved in the NYA. The NYA is made up of young women and men ages 9-29 from across the U.S. that are impacted by Huntington’s. There is no cure or therapy at this time. Video taken at the Huntington’s Disease Society of America (HDSA) Annual Convention, June 7-9-18, in Los Angeles, CA and I was there! The morning will be spent listening to the experts at the HDSA Research Forum. From 6- 7 p.m., is the Gala Reception and dinner and dancing goes on until 1 p.m. The Gala brings the 33rd HDSA Annual Convention to a Close. John, Dr. Vicki Wheelock, and myself at the 2017 HDSA National Convention in Schaumburg IL. Then, the Convention Welcome Reception will begin at 7 p.m. and the Exhibit Hall will be open. (HDSA is graciously allowing me to sell my book again this year). John and I are also on our way, in our RV; it’s about an eight hour drive from Northern California. We’ll be staying a Dockweiler State Beach; it has 3.7 miles of ocean frontage and 288 acres of beach and only four miles from the Marriott Convention Center where the Convention is being held. This is my second Convention, and I was so impressed with HDSA staff, the support and hope that resonated throughout the three days last year. I truly believe this is my second family who understand the Huntington’s Disease journey because they are living it just as I did for 25 years with my three sisters-in-law, Lora, Marcia and Cindy Marin. HOPE Walk held outside convention center at the 2017 HDSA National Convention in Schaumburg IL.